The Wildpeak H/T continues to expand the opportunities for Pick-up Trucks and SUVs for smooth motoring whatever the season, whether it be on a long highway ride, a little sprited driving or a quick run to the soccer field. WildPeak H/T offers a combination of superb dry handling and responsive wet braking on all roadway surfaces, and with its aggressive tread pattern, Falken has optimized traction and control of irregular wear. Four Large Circumferential Straight Grooves enhance both anti-hydroplaning and wet grip performance. New Stylish Sidewall Design paired with high tension casing ply and special hard bead apex provides good looks and driving comfort. Variable Pitch Shoulder Design provides flat, even wear and reduces tire noise. Multi-wave Lateral Sipes improves wet traction and increases all-season performance. Symmetric Non-Directional 5 rib Tread Design provides optimal handling/stability and comfort, while allowing multiple rotation patterns to help fight irregular wear. Excellent tread wear so far. Very smooth driving on my vehicle. I have found these tyres have very predictable handling on wet roads. I have driven some on dirt roads,tyres are not mudders but as along as road is dry(hard or loose) they do an excellent job getting on down the road. 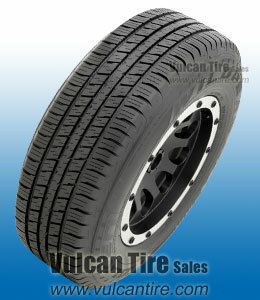 tires show almost no wear and i am happy with my choich and also that your company chose to follow up , cheers ! Thankyou ! Quiet Price is great especially on a tight budget. I was laid off and still hunting for a job when I had to buy a set of tires. I am pleased with my purchase. I hope they keep this price point and at the time I bought I received a rebate which helped buy food later. I have purchased higher priced tires when times were better and not as happy as with these tires.